by Brianna Crandall — January 16, 2019 — The remote Alaskan city of Utqiagvik is now welcoming physicians and medical staff for its newly built regional hospital — despite the area’s critical housing shortage and its location 330 miles north of the Arctic Circle (or “200 miles north of the nearest tree,” as an Utqiagvik local said). An alternative construction approach made it possible. Utqiagvik, known previously as Barrow, is home to the Samuel Simmonds Memorial Hospital, which opened in 2013. 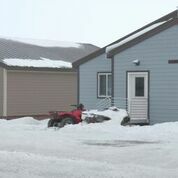 Managed by the Arctic Slope Native Association (ASNA), a nonprofit tribal health-care organization, the facility is the main healthcare support for the nearby Prudhoe Bay oil field. It also serves several surrounding communities. Clinicians and physicians drawn to work there are attracted by a sense of adventure, higher wages, and the fact their student loans can be forgiven if they take a contract there. But staff couldn’t come when there was nowhere to live. With no roads connecting the area to anywhere else and just one freighter arriving per year, the cost to build on the Arctic tundra is steep. 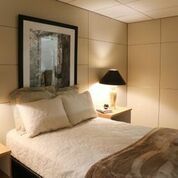 Instead of trying to build traditional temporary housing, local hospital executives decided to turn to DIRTT. DIRTT’s digital construction approach uses a software platform that sees the design become an interactive 3D environment. Users virtually explore and change the design while getting immediate feedback on constructability and detailed cost. The software feeds directly to DIRTT’s production facilities. In 21 days or less, the entire project is manufactured and shipped to site, where the preassembled components create a quick-connect construction site without material waste and with fewer on-site trades. Based on the value of this approach, DIRTT and its Alaskan partner, Paragon Interior Construction, were awarded a contract to build 16 residential units for the Utqiagvik hospital’s medical staff, providing the community with an adaptable and cost-effective solution able to meet the tight timelines and challenges of building in the extreme climate. 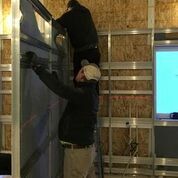 They’re focused primarily on families, but if we have two singles — maybe two nurses living in one unit — we can dismantle the walls to make two large bedrooms. And we discovered, literally, when construction’s going on in the unit next door, you can’t hear it in the other unit. There’s an opportunity to reduce future costs of maintaining houses. I really like the fact we can create places that feel more like home for our staff. It’s a long winter for some of them, so having a place where they can entertain and be part of the community helps them want to stay. For the full story, video and images, visit the Arctic Hospital Uses New Kind of Housing to Draw Vital Staff webpage. DIRTT is a building process powered by technology. The name stands for Doing It Right This Time. The company uses its proprietary ICE software to design, manufacture and install fully customized interior environments. The technology drives DIRTT’s advanced manufacturing and provides certainty on cost, schedule and the final result. Complete interior spaces are reportedly constructed faster, cleaner and more sustainably. With three manufacturing facilities in North America, DIRTT works with nearly 100 sales partners globally.